This is another picture from my fall trip to the Charlotte Motor Speedway for the 1991 Winston Cup Mello Yellow 500. This shot is from turn 4 looking toward the start finish line. 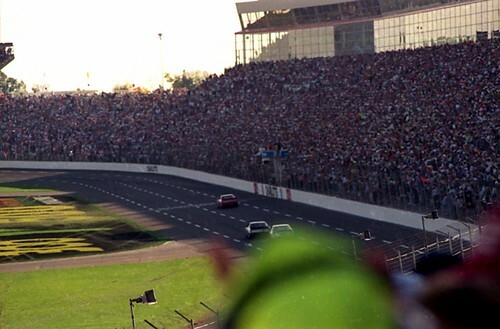 You can see race winner, Geoff Bodine, just crossing the finish line while taking the checkered flag.